Paper tablet with special paper designed to work with Pen+ in dotted layout. 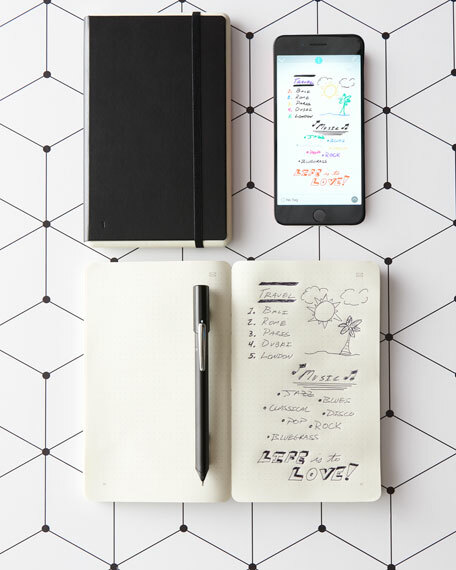 Ncoded technology allows the Pen+ to recognize where it is in the paper tablet and capture each pen stroke; app then transfers freehand notes from page to screen. Set includes paper tablet, Pen+ smartpen, USB cable for smartpen recharging, one pen tip, ink refill, and user manual.